“the dominant purpose of appointing an arbitrator or arbitrators is the impartial resolution of the dispute between the parties in accordance with the terms of the agreement and, although the contract between the parties and the arbitrators would be a contract for the provision of personal services, they were not personal services under the direction of the parties.” Voestalpine Schienen GMBH v. Delhi Metro Rail Corporation Ltd., (2017) 4 SCC 665. The meaning of the expression ‘person aggrieved’ will have to be ascertained with reference to the purpose and the provisions of the Statute. One of the meanings is that person will be held to be aggrieved by a decision if that decision is materially adverse to him. The restricted meaning of the expression requires denial or deprivation of legal rights. The expression ‘person aggrieved’ means a person who has suffered a legal grievance, i.e. a person against whom a decision has been pronounced which has lawfully deprived him of something or wrongfully refused him something. A “legal right”, means an entitlement arising out of legal rules. Thus, it may be defined as an advantage or a benefit conferred upon a person by the rule of law. The expression “person aggrieved” does not include a person who suffers from a psychological or an imaginary injury; a person aggrieved must therefore, necessarily be one, whose right or interest has been adversely affected or jeopardised. A person aggrieved, means a person who is wrongly deprived of his entitlement which he is legally entitled to receive and it does not include any kind of disappointment or personal inconvenience. “Person aggrieved” means a person who is injured or he is adversely affected in a legal sense. Naval Kishore v. State of U.P., 2017 (122) ALR 121. It is settled that in exercise of jurisdiction under Section 11 of the Arbitration and Conciliation Act, the Court is to enforce terms of agreement for securing appointment of arbitrator. However, it is not denuded of jurisdiction to follow a different course, for justifiable cause, by giving reasons. Different contingencies requiring such departure have clearly been noticed. The ultimate object is to secure appointment of an impartial arbitrator and secure speedy resolution of dispute by way of arbitration. The scheme underlying the Arbitration and Conciliation Act has to be construed by harmoniously interpreting its provisions. It is imperative for the court to examine qualification and impartiality of arbitrator as well as to secure speedy resolution of dispute. 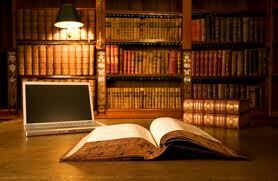 The terms of arbitration agreement providing for arbitrator to be named by designation cannot be read in isolation. It also cannot be construed in a manner inconsistent with the scheme of the Act. The question is answered holding that an application under Section 11(6) of the Arbitration and Conciliation Act would lie also in a case where arbitrator is named, by designation, where (i) arbitrator named is not impartial, or (ii) he lacks required qualification, or (iii) for any other justifiable cause to secure speedy resolution of dispute, by way of a reasoned order. M/s AARGEE Engineering and Company v. ERA Infra Engineering Ltd., 2017 (122) ALR 179. “(i) The enquiries must be conducted bona fide and care must be taken to see that the enquiries do not become empty formalities. (ii) If an officer is a witness to any of the incidents which is the subject matter of the enquiry or if the enquiry was initiated on a report of an officer, then in all fairness he should not be the Enquiry Officer. If the said position becomes known after the appointment of the Enquiry Officer, during the enquiry, steps should be taken to see that the task of holding an enquiry is assigned to some other officer. (iii) In an enquiry, the employer/department should take steps first to lead evidence against the workman/delinquent charged and give an opportunity to him to cross examine the witnesses of the employer. Only thereafter, the workman/delinquent be asked whether he wants to lead any evidence and asked to give any explanation about the evidence led against him. The principal of law that emanates is that initial burden is on the department to prove the charges. In case where enquiry is initiated with a view to inflict major penalty, department must prove charges by adducing evidence by holding oral enquiry. State of U.P. v. Aditya Prasad Srivastava, (2017) 2 UPLBEC 901. “By virtue of a family settlement or arrangement members of a family descending from a common ancestor or a near relation seek to sink their differences and disputes, settle and resolve their conflicting claims or disputed titles once for all in order to buy peace of mind and bring about complete harmony and goodwill in the family. The family arrangements are governed by a special equity peculiar to themselves and would be enforced if honestly made. The object of the arrangement is to protect the family from long drawn litigation or perpetual strifes which mar the unity and solidarity of the family and create hatred and bad blood between the various members of the family. A family arrangement by which the property is equitably divided between the various contenders so as to achieve an equal distribution of wealth instead of concentrating the same in the hands of a few is undoubtedly a milestone in the administration of social justice. That is why the term ‘family’ has to be understood in a wider sense so as to include within its fold not only close relations or legal heirs but even those persons who may have some sort of antecedent title, a semblance of a claim or even if they have spes successionis so that future disputes are sealed forever and the family instead of fighting claims inter se and wasting time, money and energy on such fruitless or futile litigation is able to devote its attention to more constructive work in the larger interest of the country. Rajni Sanghi v. Western India State Motors Ltd., (2015) 16 SCC 631. “Where females are honoured, there the deities are pleased; but where they are unhonoured there all religious acts become fruitless.” Anuradha Samir Vennangot v. Mohandas Samir Vennangot, (2015) 16 SCC 596. “The performance of what one is already bound to do, either by general law or by a specific obligation to the other party, is not a good consideration for a promise; because such performance is no legal burden to the promisor, but rather relieves him of a duty. Neither is the promise of such performance a consideration, since it adds nothing to the obligation already existing.” Anuradha Samir Vennangot v. Mohandas Samir Vennangot, (2015) 16 SCC 596.